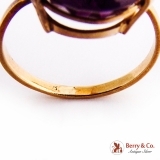 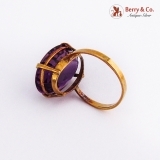 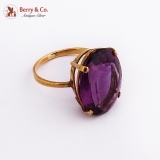 Oval Amethyst Ring 8K Yellow Gold. This wonderful ring is a size 5 1/4 and weighs 3.6 grams. 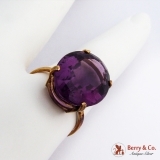 The stone is 17mm x 13mm.